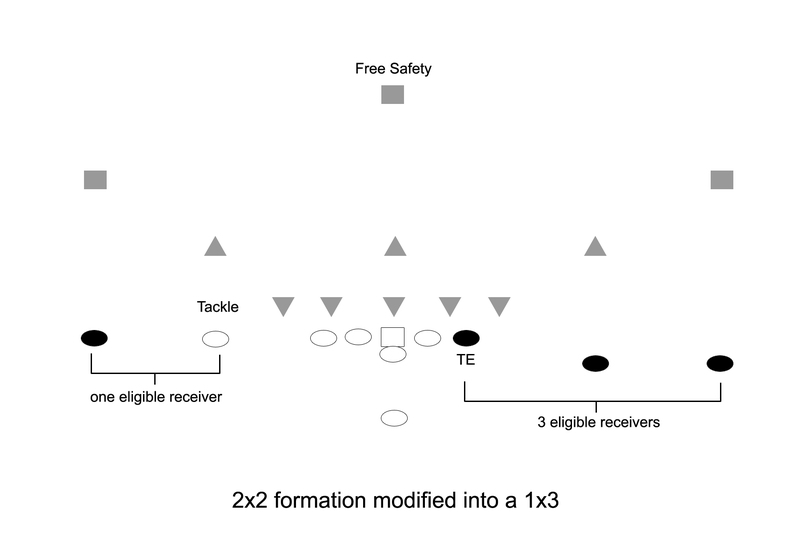 Meanwhile the slot and split receiver to the right side were aligned off the ball and in the backfield, making each of them eligible but, more importantly, they didn’t cover the TE at the right tackle position, making him eligible as well. 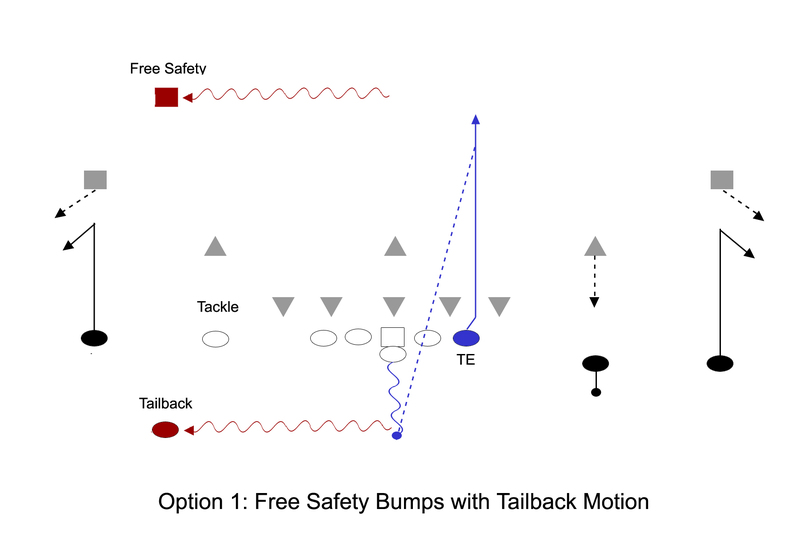 The single setback went in motion to the left side of the formation, toward the OT, on the second sound in the snap count. If the Free Safety went with him, he’d leave the middle of the field uncovered which we would attack with the TE via a dump pass. 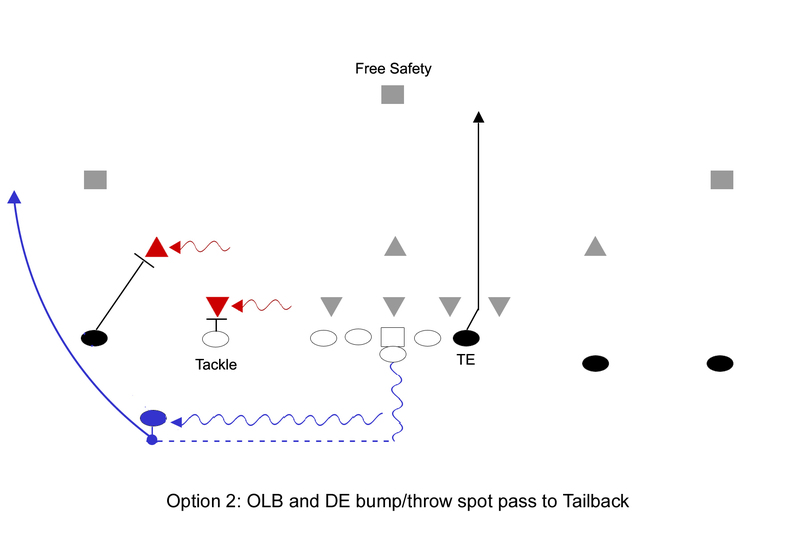 If he stayed and the defensive front bumped to the RB, he would spot up beyond the OT and we’d throw him a quick pass. Sort of like a long pitch play. The QB drop was 3-steps. Cajon Special was two simple options based on one read and it was quick once the ball was snapped. And, as it turned out come game day, the Free Safety went with the RB, vacating the deep middle which we successfully attacked with the TE for 36 yards. Had he been faster, it would have been 6 points. Even still, it was so sweet to see the play executed as designed and was very much a momentum changer. 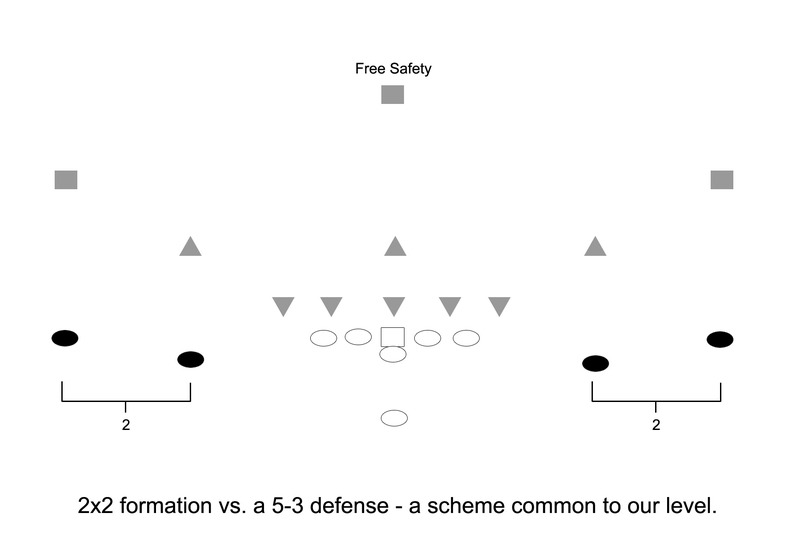 At our level, the 53 defense is one you see a lot and Cover 1 is a coverage scheme you can force a 53 defense into by going empty from a 2×2 formation. And Cajon Special is one pass play you can use to defeat it.